I’ve been yoga-ing almost daily! And I feel great from it! One of the aspects of yoga that I connect with most deeply is the concept that what happens on the mat is training for life. The yoga mat is a place I can experience my reactions to situations and emotions, and hopefully, practice approaching life with a calm, grounded, outlook. Does this sound too esoteric to you? It’s not really. 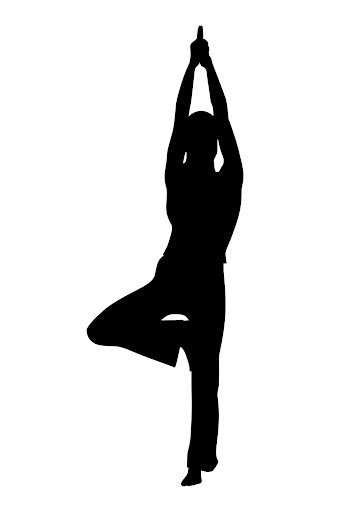 Most yoga poses ask your body to find strength, balance, and flexibility all at once. Tell me a situation in life that doesn’t also demand a balance of these qualities? If you figure out what poses come easily to you and which ones cause tension or anxiety you just may reveal how you live your life. For me, my yoga practice has illustrated that I tend to avoid situations in life that make me feel incompetent. 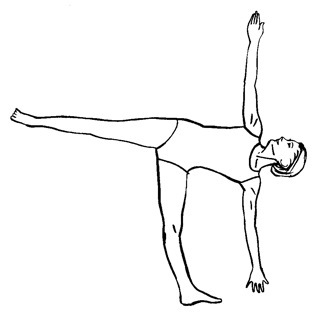 Take Navasana, or Boat Pose, for example. My hip flexors in the front of my legs prevent me from extending my legs nice and straight like the lovely cartoon above. I get self-conscious because as a Pilates teacher and dancer I feel like I should be able to perform this pose with utmost grace and length. But I can’t. So what’s a girl to do? Well, what I’ve learned from Navasana is that I don’t feel like I am missing out on life or in my practice if I don’t float my boat or score a goal. The way that I learned this is from trying and trying again and finally deciding that at this time in my life I don’t need sport or Boat Pose. Other times I’ve surprised myself by trying a pose that I usually avoid and then enjoying the experience and feeling successful through the process. Many yoga poses are helpful for keeping our egos in check, like the hidden challenges of a “simple” balance pose or trying a new pose for the first time. i did my first ashtanga yoga class the other day and it may have changed my life. while i used to laugh and give up when I couldn’t do something, but the way the instuctor pushed my to listen to my body and use the strength i already have, left me wanting more. Good points about yoga imitating life! And funny that I never played team sports for the same reasons as you, and no matter how hard I try in boat I can’t get my legs striaght either! I’ll have to remember this post with my in-laws…. Nice post Faith! So true – a daily yoga practice really acts as a mirror of the Self. The self-exploration and investigation that happens on the mat can illuminate so much about our lives off-the-mat. I can totally relate to you about those poses that you think you “should” be able to do easily and yet they remain a puzzle. Working those poses (purvottanansa and laghu vajrasana for me!) provides an opportunity to practice humility and self-acceptance – both important attitudes to cultivate in life and yoga. One of my favorite things about yoga is it shows you that things you didn’t think you could do are possible. It’s so fun when one day I can easily do a pose that has been really difficult (or impossible) in the past. Great job doing yoga everyday! I know what you mean about suddenly finding the ability to do a pose that once came so hard. It’s a great feeling! Yoga shows you yourself – and you have wisely met yourself there. Great post. Can you tell I’ve thoroughly cyberstalked you?